This hazelnut hot cocoa came about because one of the foods I miss most being pregnant is coffee. Now, the most recent data on the subject suggests that 6oz or less of caffeinated beverages is okay for a pregnant lady. That said, I error on the side of caution. I do have an occasional 4oz cup (which I cut with milk) but that’s it for me. No more fancy deluxe coffee. Oh! And don’t even get me started on decaf. That stuff is NOT coffee. Cold Brew, Hazelnut Mocha, that stuff is the coffee I miss. But, one of the awesome things about the timing of my pregnancy is that hot-cocoa season is in full swing! 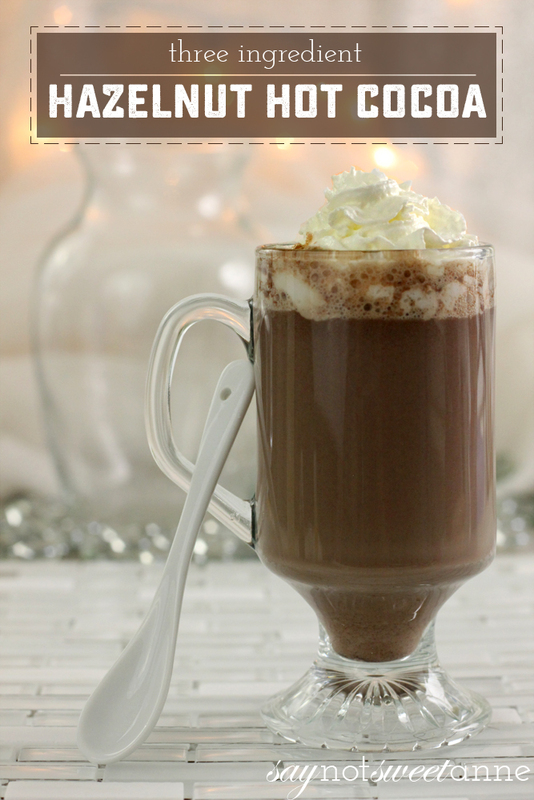 This amazing homemade hazelnut hot chocolate is one of my favorite go-to after dinner treats. It is decadent, and with a hint of Nutella that makes it so much deeper in flavor than plain chocolate. Plus it takes less than 2 minutes to make! Let’s not forget that Nutella itself has a pretty huge following on it’s own. 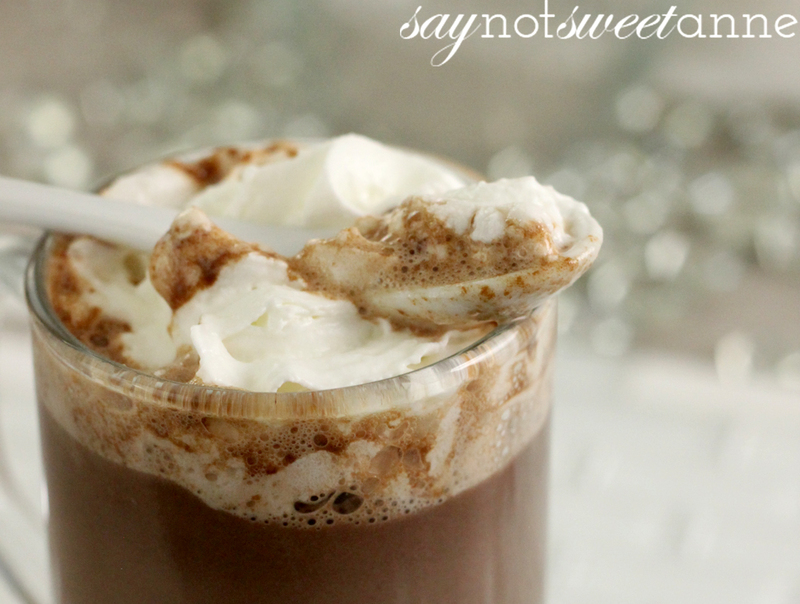 Having a Nutella Hot Cocoa is something that sounds both delicious but hip! Combine all ingredients in a small sauce pan. I believe this could also be done in small increments in a microwave. 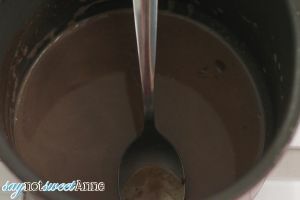 Cook mixture, whisking constantly, over low heat until Nutella is melted and mixture is hot, about 2 minutes. 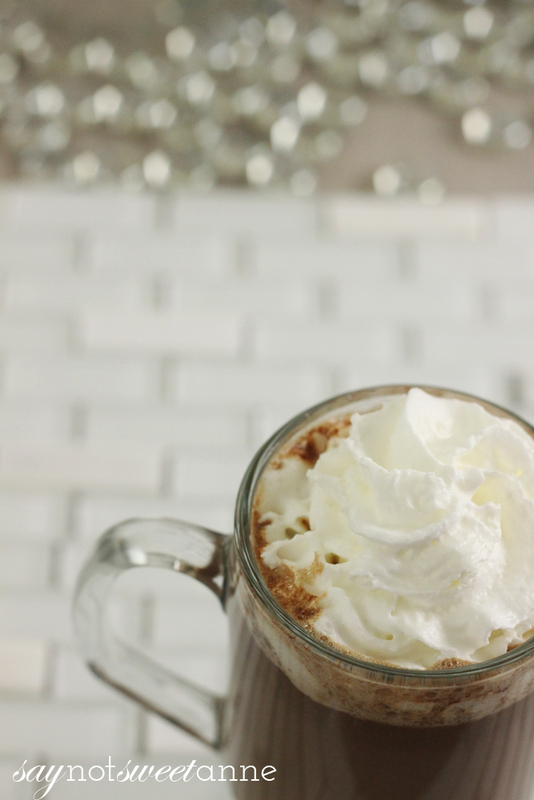 Serve in a cute glass with an optional dollop of whipped cream! 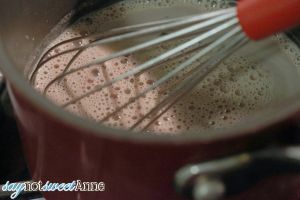 This hazelnut hot cocoa recipe is so quick and easy, it is perfect for those “I want something sweet but I don’t know what” moments that I am prone too (even before pregnancy!). Plus, the recipe is super easy to double or quadruple for guests or family dessert!